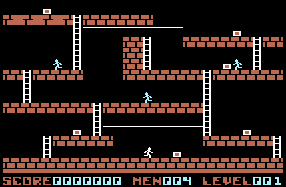 Released, very shortly after the birth of the Commodore 64 itself, Lode Runner set the gold standard in platform gaming. It had mediocre graphics, and audio to match, but the gameplay was where it was all at. Sure, there have been better platform games released since, but people, this was 1983!